While Europa were comprehensively beaten 5-0 away in Kosovo by FC Prishtina, St Joseph’s suffered penalty heartbreak as they lost 4-2 in the shootout to B36 Torshavn after drawing 1-1 at the Victoria Stadium. After both teams drew 1-1 in their respective first legs, there were hopes that at least one of the two teams could progress to the next round, but ultimately both fell short despite their best efforts over the two legs. At the Victoria, St Joseph’s took on B36, knowing a goalless draw would send them through on the away goal rule. However, after two penalties in the first leg, the first goal of the second leg also came from the spot, as Lukasz Cieslewicz gave his side the lead. Despite the goal, St Joseph’s were the better side on the evening, and finally got their reward when sub Jose Luis Otero looped a header into the back of the net in the 88th minute, forcing extra time. Neither team could score in the additional 30 minutes, meaning penalties would be needed to separate the sides. However, Pedro Fernandez Martinez, and Samu Fernandez both put their efforts wide, with B36 scoring all four penalties they took to progress to the first qualifying round. Europa also paid the penalty, albeit in a different way as Prishtina scored twice from the spot in the first half; Armend Dallku stepping up both times to score. Sandwiched in between those two penalties was a goal from Gauthier Mankenda, while second half goals from Ahmed Januzi and Mergim Pefqeli ensured a comprehensive 5-0 victory for Prishtina. 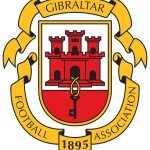 With the GFA’s changed HGP rules increasing the amount of locals on the pitch in domestic game, eyes were raised by local football fans on social media as the two teams combined started one Gibraltarian last night (Liam Walker for Europa); with four HGP’s having any involvement in the games whatsoever – UEFA’s rules do not require any HGP’s to be on the field of play, but once the league begins in August all teams will need at least three Home Grown Players on the pitch at any one time in domestic matches. 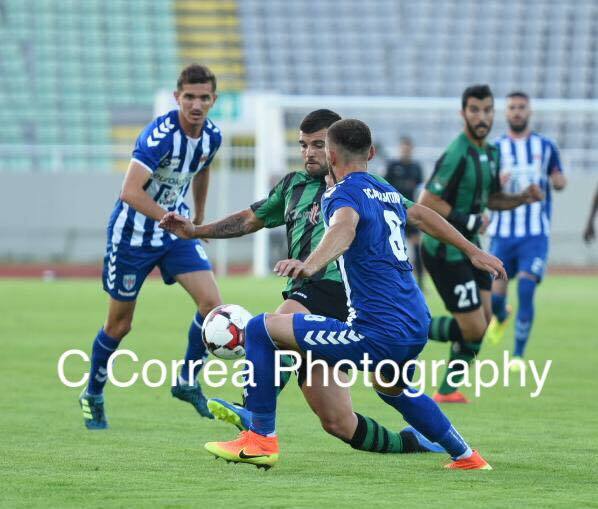 For now, there’s a small break in European football for local teams, until Lincoln return to action on the 26th July, away at either Shkendija or The New Saints, with the return leg at the Victoria Stadium on August 2nd – just over two weeks before the Premier Division is due to start. This entry was posted in Europa FC, Europa League, Football, Men, Premier Division, St Josephs FC and tagged Europa FC, europa league, Football, football gibraltar, Gibraltar, St Josephs, UEFA, UEL. Bookmark the permalink.